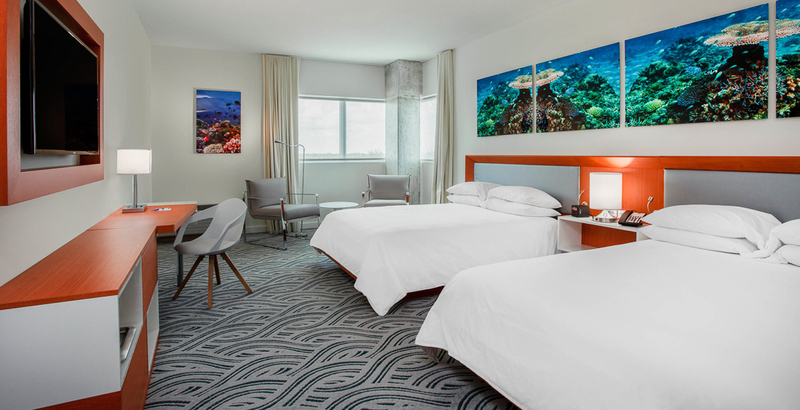 A nod to the nautical lifestyle, our new luxury Fort Lauderdale hotel features chic rooms and suites that blend sleek maritime design with a modern European twist. 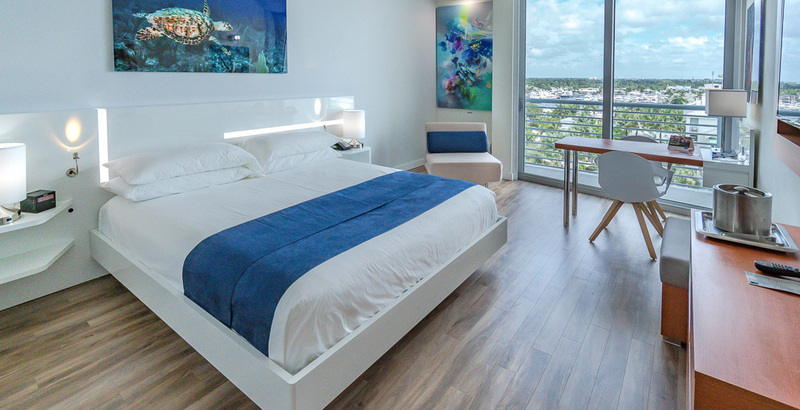 High-gloss white finishes and custom teak furnishings from Madrid create a stylish backdrop for the spectacular underwater photography of acclaimed marine ecologist and photographer Richard Murphy. 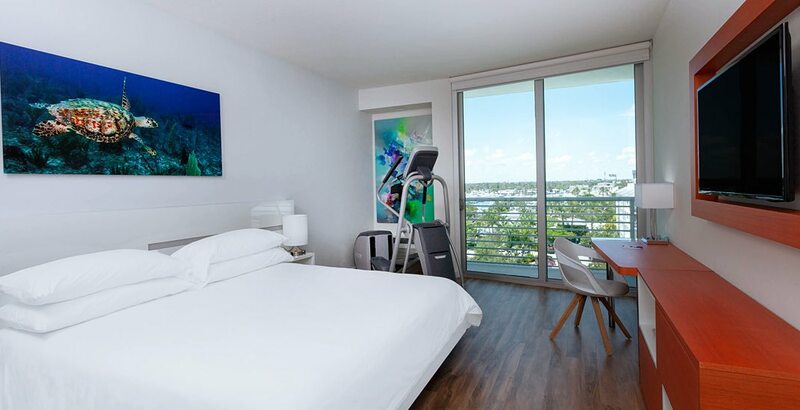 Our stylish King Room with balcony has everything you’d expect from a boutique hotel in Fort Lauderdale, and more, including a private patio overlooking the marina and city skyline, a designer bathroom with marble shower, and wall-mounted TV for the occasional Netflix binge. 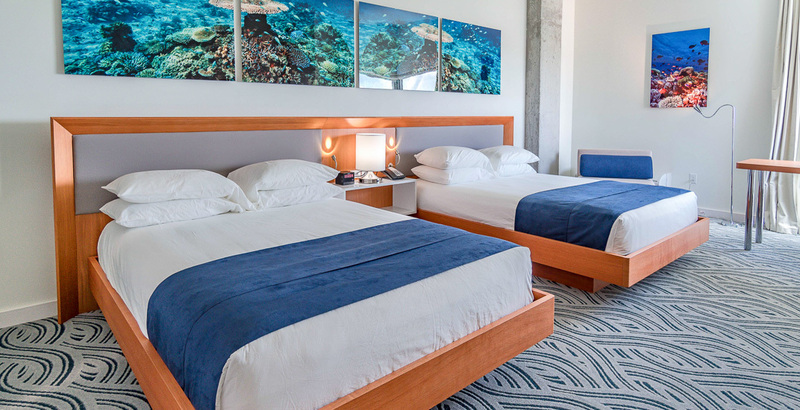 After a long day of boating on Fort Lauderdale’s waterways, soak off the sean and salt air in our sophisticated Double Queen Room featuring an open-living bathroom furnished with a deep soaking tub and marble shower. 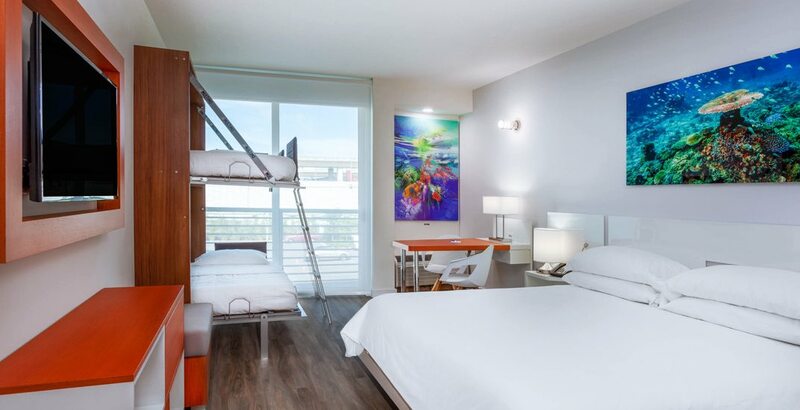 Taking its design cues from cruise ship quarters, our spacious Family Suite is a kick for kids, thanks to two murphy-style bunk beds, a wall-mounted TV, and fast, free WiFi for seamless Snapchatting with friends at home. 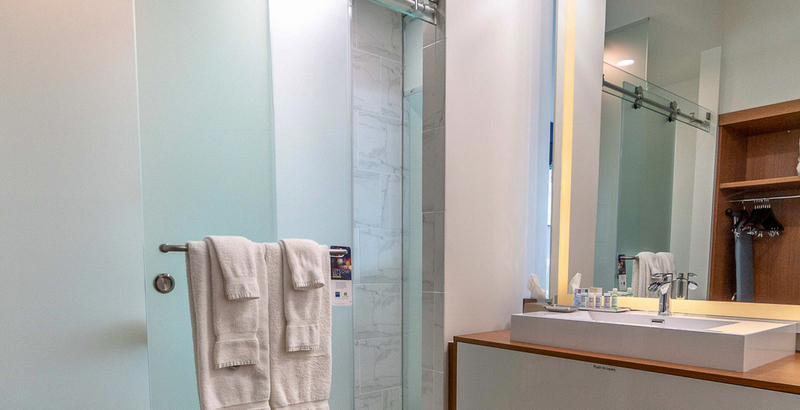 Designed for on-the-go execs without a second to spare, our Active King Room with balcony is packed with all the latest cardio gear so you can start the day with an invigorating, distraction-free workout and quick cool-down in a designer bathroom with marble shower. 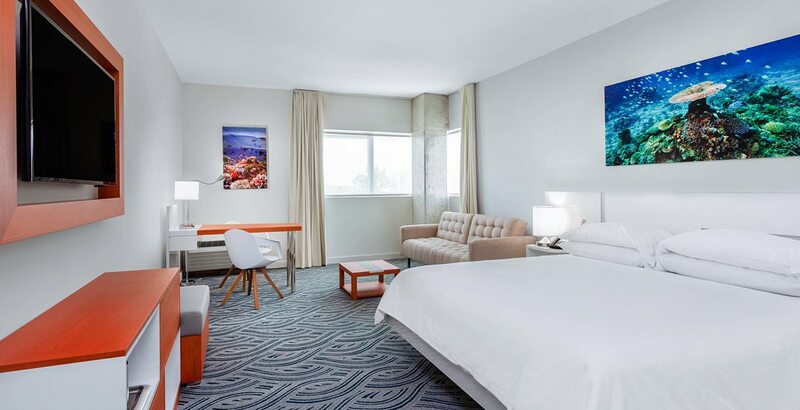 Our sophisticated non-smoking ADA King Room is equipped with the accessibility features you want, including shower safety bars and wheelchair access, as well as flat-screen HDTV, mini-fridge, microwave, work desk, and coffee maker. 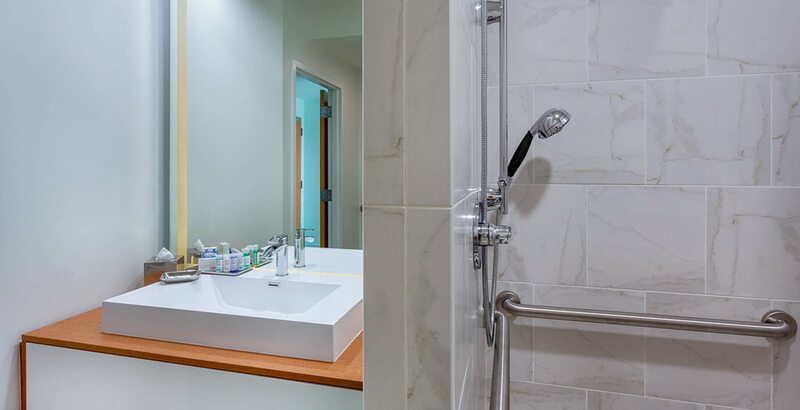 Relax and unwind in our attractively appointed ADA Two Queen Room featuring shower safety bars and wheelchair access. 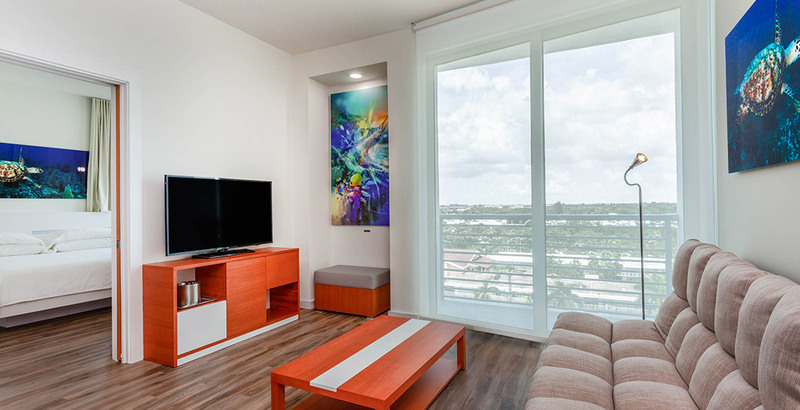 Highlights of this room include a flat-screen HDTV, mini-fridge, microwave, work desk, and coffee maker. Work hard and play hard in our One King Room with Living Room that doubles as a hospitality hub for impromptu business and entertaining. Highlights include living area, an adjoining meeting room seating up to 20, and a private master bedroom.